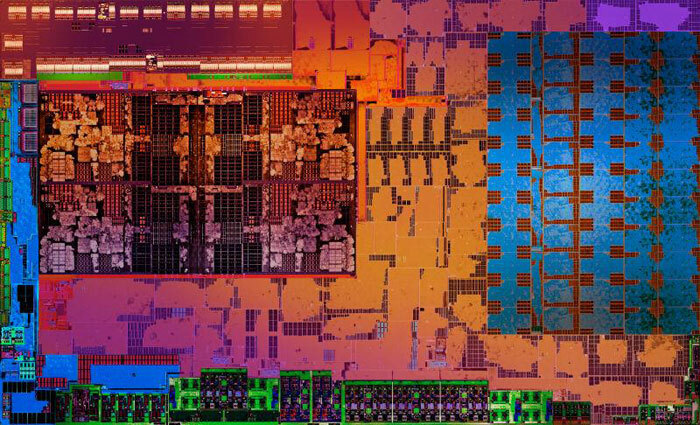 In October, AMD announced that its eagerly anticipated Ryzen Mobile APUs (Zen meets Vega, codenamed 'Raven Ridge') would debut in a number of ultrathin, ultraportable devices. AMD teased that we could be enjoying "gaming on the go in an ultrathin" by Q1 2018. However, as Anandtech reports, one of the trio of examples shown off by AMD last month is already available to purchase in store and online: the HP Envy 360 convertible with AMD Ryzen 5 2500U. HP is selling its Envy x360 with Ryzen Mobile via its own portal ($804.99) but the convertible is also available in store and online at BestBuy ($749.99) in the US. 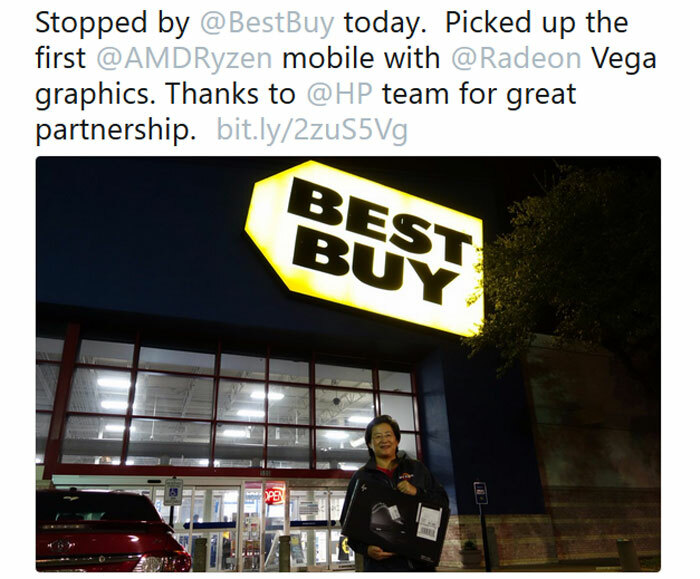 AMD CEO Lisa Su popped around to her local Best Buy to purchase one of the new machines for the purpose of a Tweet, as you can see below. If you are wondering if Ms Su should have grabbed one of these machines for free, she explains that she buys them "as gifts for friends and family". What do you get for this money? Let's look at the base specs (upgrade options in brackets). AMD Ryzen 5 2500U quad-core SoC, with four Zen Cores running at up to 3.6GHz and Vega 8 graphics with 512SPs running at up to 1.1GHz, TDP of 15W. Apparently there was an early bird discount available with the above base spec listed at $599. Unfortunately that's sold out rather quick but does show some latitude for price deductions once this machine has been available for a month or two and competitor machines arrive - after Xmas perhaps. Finally a great laptop with AMD internals. And also that price is very good indeed! He has updated the results since he was running them with windows updated!! WTF?? All for $599 with early bird discount….. Thats just crazy prices! I wish I could afford to spend $800 for the purposes of a tweet. I'm neither business savvy enough, dedicated enough, competent enough or willing to put in the required effort to get to her position. But if anyone does feel like paying me a load of cash for very little work then hey, I'm here, I'm breathing, feel free to give me stuff. Its a good price and good options as well, it seem like you get a lot for little.